Composed by Bob Good. Classical Period, Repertoire, General Instructional, Wedding. Score, Set of Parts. 6 pages. Published by Surrey Dance Music (S0.419527). 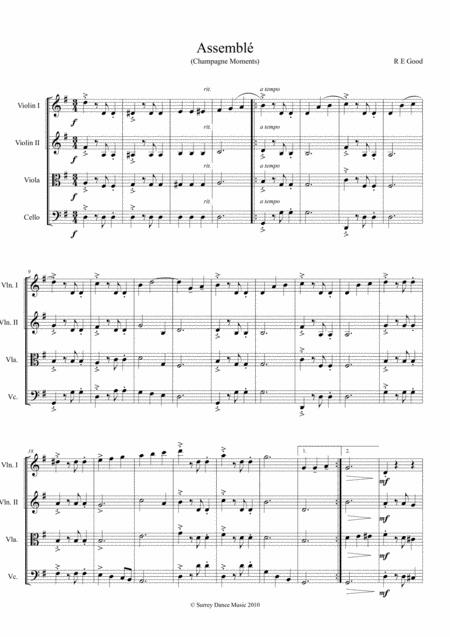 Jubilant waltz arranged for String Quartet. Originally written as a ballet exercise, this piece is just 1½ minutes long, supremely elegant and ideal for upmarket wedding receptions and general repertoire.